Brewru: Exploring the World One Beer at a Time: Appe-Thai-zing? In between exploring the labyrinthine markets, notorious nightlife, and alluring tropical beaches of Thailand, you might end up wanting a beer. Unfortunately, you’re not going to have many options. Light lagers rule the day in this SE Asian nation. However, if you go off the beaten path you might be able to find something a little more special… and eccentric. And off the beaten path I went. To Tawandang German Brewery, located about 30 minutes from central Bangkok by taxi. For risk of sounding like an artifact of the 1960s, this place was a trip (I know, I’m a regular Cyrano de Bergerac over here). 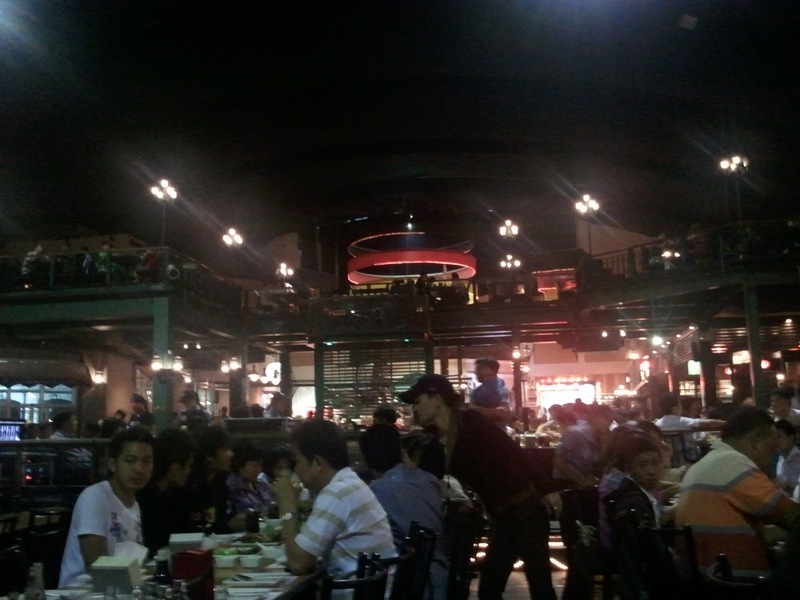 Much akin to authentic German beer hall style, everyone sat at long tables and watched the evening’s entertainment while eating typical drinking food while guzzling copious amounts of beer. A note about the ambiance is in order. Various singers, dancers, and even master xylophonists (you heard me right) rotated sets throughout the night. None were bad. Most were quite good. And all were very uniquely Thai. 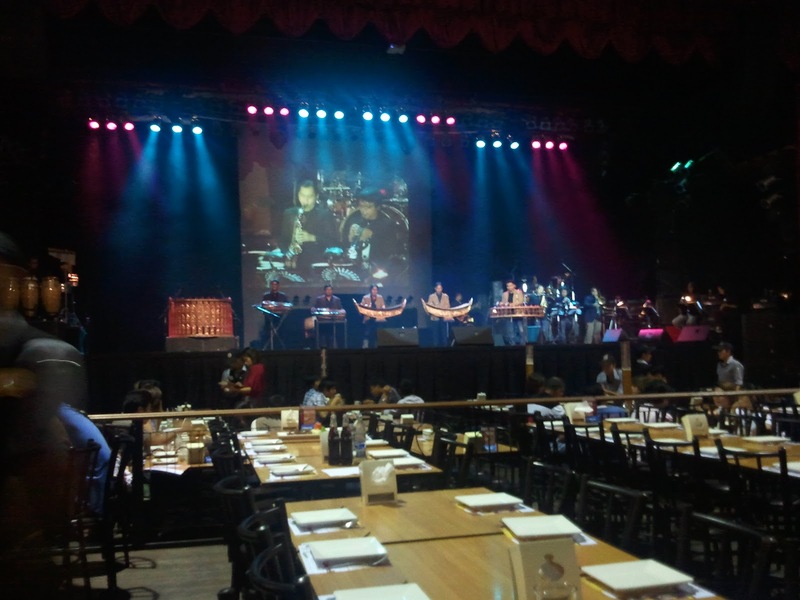 They crooned Thai love songs, performed traditional dance, sang with members of the audience, played refashioned ancient but with electrical instruments- all to the audience’s delight. I watched this all unfold while eating Thai prawns in sweet chili sauce and sampling the three house-brewed beers. Tawandang brews 3 beers: a lager, a hefeweizen, and a dunkelweizen. 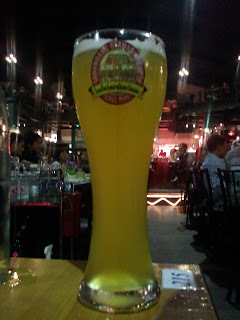 The lager was incredibly pale with floral hop aromas. Definitely sweeter than most lagers but some hops provided a nice balance. 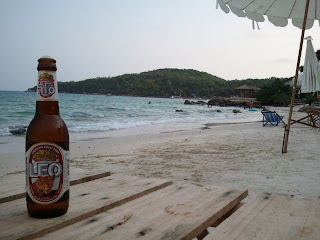 A better option than the more commercialized Thai lagers. The hef was so-so. It was incredibly light but too sour and vinegary to be representative of the style. My least favorite of the bunch. 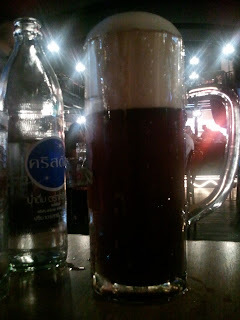 The dunkelweizen was my favorite beer at Tawandang. 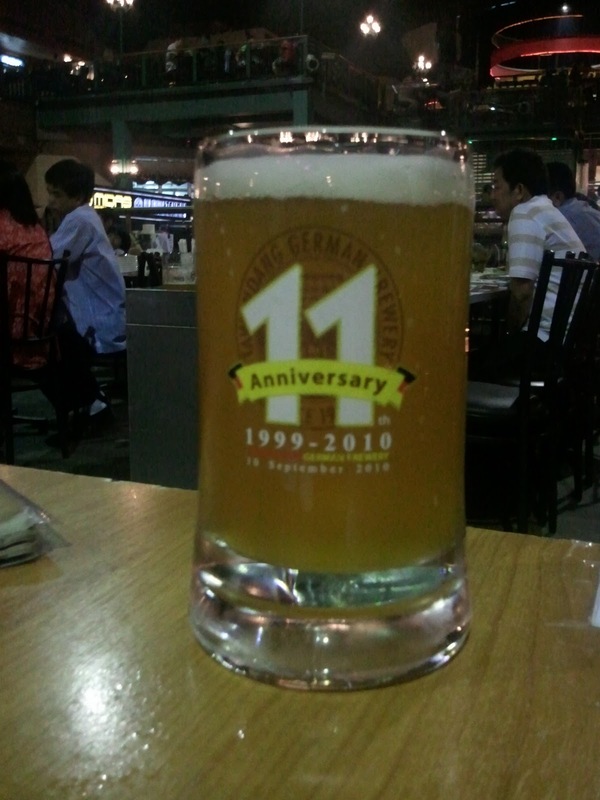 It had rich malty and caramel flavors with the same floral hops used in the lager. It was thick but not syrupy. A surprising treat. My experience in Thailand was great- but not necessarily because of the beers. I recommend trekking out to Tawandang if you have some spare time for the experience, if nothing else. Considering it’s 40 minutes from the city center, your time would probably be better spend sightseeing at the local markets and temples- but if you really want a good brew, that’s your best bet. Till next time, where I’ll explore izakayas (Japanese pubs) in the Shinbashi district of Tokyo. Cheers!